My son gave up soccer and we decided to do something else so a friend recommended Kickstarters. It was great! We took the 3 lessons for $20 trial and we will be back! My son loves it and has fun as well as learning how to protect himself and so much more at the same time. Stacy does a great job! He’s got the balance of pushing and encouraging just right. My kids have a great time, are learning important skills and mindset, and are developing confidence in themselves and their abilities. Well worth the 5 stars. So pleased that you’ve opened a new class north of Brissie. My two have been training with you for over a year now but distance meant we were struggling to get to class. It’s fantastic to have them back training with you, they learned so much last year and are really excited to further their Krav journey. This is the only class of this type between Brisbane and the Sunshine Coast so I’m over the moon to have you nearby. Thanks Stacy, you continued to be a positive inspiration to my kids. 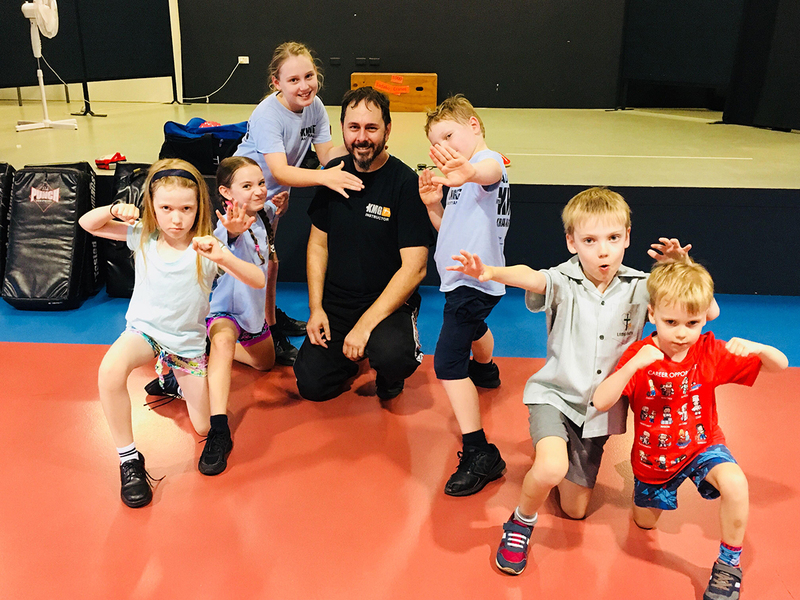 Such a good, fun fitness and self defence option for kids! And Stacy is an amazing instructor.